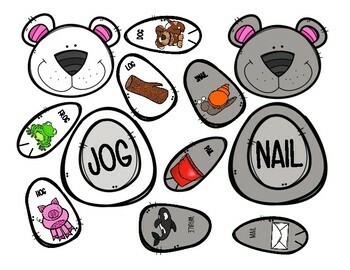 Build A Bear - Rhyming Words! 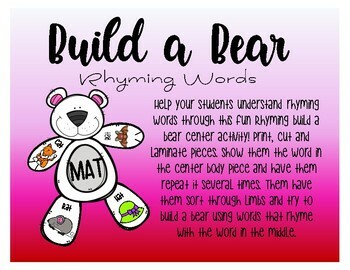 Help your students understand rhyming words through this fun Rhyming build a bear center activity! Print, cut and laminate pieces. Show them the word in the center body piece and have them repeat it several times. Them have them sort through limbs and try to build a bear using words that rhyme with the word in the middle. 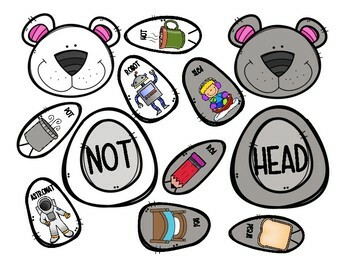 There are 12 rhyming words bears!